The first thing people notice about you is the color you are wearing. Color has the power to influence your emotions and those of the people around you. It also has the power to enhance your personal appearance. Who doesn’t want to look their best? When you wear a color that is right for you, your personal coloring comes alive – your skin glows, your eyes are bright, and your hair is filled with highlights. The wrong color can overpower or drain you, cast shadows that emphasize under-eye circles, or dull your hair and eyes. At its worse, the wrong color can be aging! The good news is color is free with every garment you buy. It doesn’t cost any more to buy that blouse in a color that makes you glow than to buy it in a color that does nothing for you; worse yet, one that makes you look tired or older. Knowing your best colors can save you money! The closet of the average American woman represents a minimum investment of $3000. Knowing your best colors guides that investment in the most positive direction and reduces impulse buying. And shopping with your best colors in mind creates a natural harmony within your wardrobe, leading to “happy accidents” – things just seem to go together! How do you identify your best colors? Pay close attention to what people say. Unsolicited compliments like, “You look terrific!” are usually given because the speaker is reacting to the positive effect of a color on you. However, if they say “Wow, that’s a gorgeous color!” they are often reacting to the color, and not to its effect on you. Look in your closet. What colors are your “reliables”? What colors are the items you never wear? Take note. Most people have heard of color analysis but few understand the theory behind it. 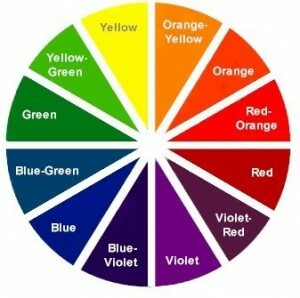 The color wheel is a systematic representation of all of the colors we see, organized according to the proportion of warm yellow pigment or cool blue pigment each color contains. Just as colors are classified by temperature, humans can be described as warm or cool based on their personal coloring. Professional Color Consultants agree – the most flattering colors are those that “connect” with your body coloring: skin tone, hair and eyes. Look at the palms of your hands. If you see blue, pink, red-violet or rosy tones, you are likely to look best in cool colors. If you see peach, golden, bright warm red or coral tones, warm colors are most likely your best choices. In a space that is well lit by natural light, stand in front of a mirror and hold gold and silver metallic paper or fabric alternately near your face. If the gold is more harmonious, your undertones are probably warm. If silver is more flattering, your undertones are probably cool. If your skin tone seems in-between, then look closely at your eyes. Black, very dark brown, grey, blue, and blue-violet eye colors are usually associated with a cool palette. Brown, green, and hazel eyes with a warmer palette. Note: This is just a beginning! There are other characteristics to consider, including the value and intensity of your personal coloring, so these tests don’t pinpoint your very best colors, but they can steer you away from the range of colors that are wrong for you. Should you have a professional color analysis? The most popular method for identifying someone’s best colors is to correlate their personal coloring with the four seasons – winter, spring, summer, fall. The seasons provide a template for defining the temperature (cool or warm), value (light or dark), and intensity (clear or muted) of colors that are the most flattering for you to wear. If you prefer to go it alone, my favorite reference on understanding the connection between personal coloring and identifying one’s best colors is Looking Good … Every Day by Nancy Nix-Rice (Palmer/Pletsch Publications). 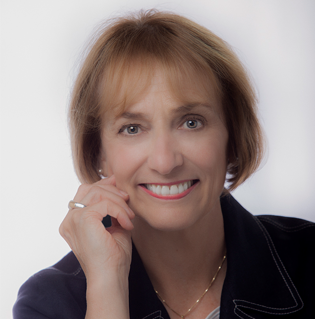 Nancy will help you navigate the variations in temperature, value, and intensity that lead to your personal best colors. You’ve had your colors done – now what? Building a wardrobe based on your most flattering colors is both an art and a science. It can take three to five years of conscious effort to develop a wardrobe that is totally keyed to your personal color palette, so be patient. Do you throw out your “not-so-good-colors” and replace them with new? Do you toss out your go-to blacks because you were told not to wear black? Do you throw away your favorite white shirts because they are “not your white”? Assuming these are all quality items in your closet, my answer is “no”. You add your new colors slowly. 1. Resolve to make all new wardrobe purchases in your best colors. 2. What you wear closest to your face matters the most. If a suit is in a “less optimal” color, add a blouse in one of your best colors. If a dress is the wrong color, wear a scarf or necklace in a flattering color(s). 3. Consider dyeing a washable garment in a not-so-flattering color to one that makes you sparkle. 4. 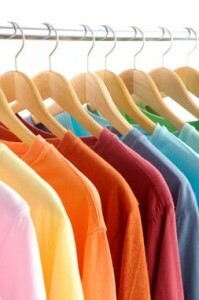 Should you wear a color not recommended by your color consultant? It’s my belief that if it makes you feel terrific, your personality and positive attitude will overcome the color negatives! My client Diane just had a professional color analysis, receiving a customized fabric chart of her best colors: her skin tones, her hair color, her eye color; plus those reds, greens, blues and yellows that are most flattering to her personal coloring. We went shopping with her new color card for tops and accessories to add color to her wardrobe – and her life! With just a few new purchases – a jacket and blouses in her red, yellow and blue – to wear with her current black and brown basics. She now dresses in her best colors to enhance her personal coloring and appearance. And she incurred minimum expense because she built on what was already in her wardrobe. What about that little black dress she loves (but was told not to wear)? 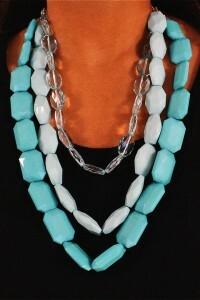 We added a fabulous necklace in her “exciting” blues, thwarting the effect of black on her skin tone while making a terrific fashion statement! 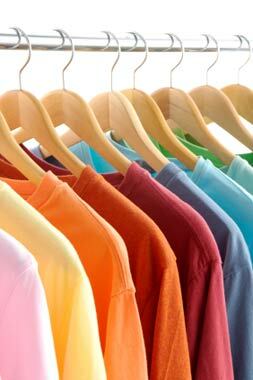 In my next post I’ll talk about specific color groups and how to use them in your wardrobe. Great article! Such a simple way to look your best – even if you’re not feeling it. Great job! Looking forward to Part 2. Do my best colors change as I mature? As we mature, pigmentation diminishes and the colors of our skin, hair and eyes soften, reducing our color value and intensity … and in turn our personal palette of ”best colors” to wear. Where can I get Spring color chips to take shopping? 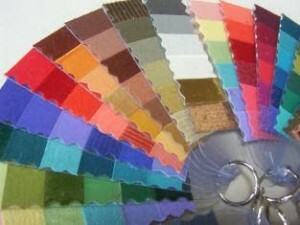 Kelly, the best resource is from a color consultant who has done a personal color analysis for you. If you don’t have a consultant in your area for a face-to-face consultation, consider engaging a consultant for a virtual consultation. I will send you an email directly with recommendations. THIS SOUNDS FUN AND GOES ALONG WITH MY LIFELONG QUEST FOR THE PERFECT LOOK! I AM A BLK AND WHITE JUNKIE BUT HAVE RECENTLY (AS I AGE) ADDED TEALS, YELLOWS, LIME GREEN ACCENTS. GAVE THOSE EXPENSIVE BASICS NEW LIFE! I, too, was a black & white junkie when I lived in New York and have had such fun at this stage in my life adding more and more of my best colors to my wardrobe. Have fun with it!